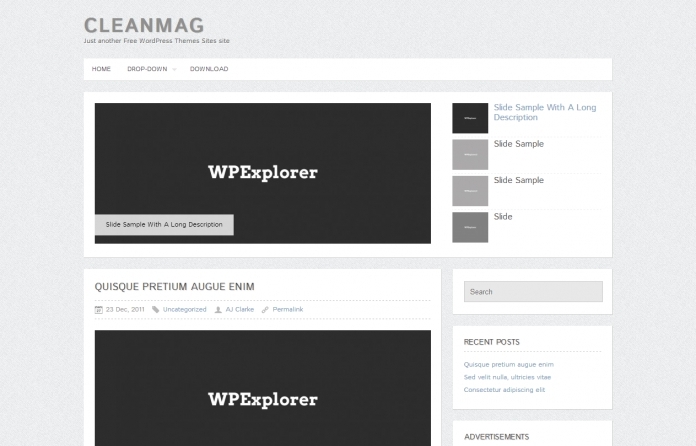 CleanMag is another Free theme I’ve created for the WP community. 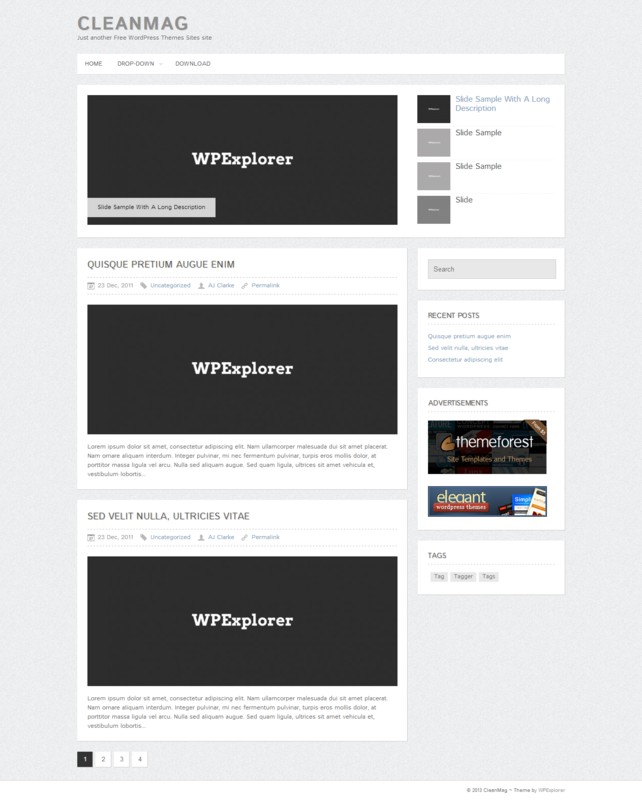 This theme is a simple blogging style template with a powerful homepage slider created using the jQuery UI and a slider custom post type. The idea was to provide you with something that was very clean and minimal and easy to use.